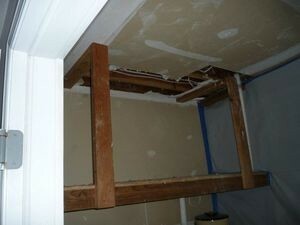 When it comes to providing the best ceiling leak restoration experience in the industry, 911 Restoration Portland owner, Yoav Gueron and the water damage Oregon City specialists are the most trusted and capable providers in the area. Yoav and his water damage team know that to give people the best restoration experience possible they need to arrive within 45 minutes of the distress call for help, so that they can get directly to the heart of the challenge. 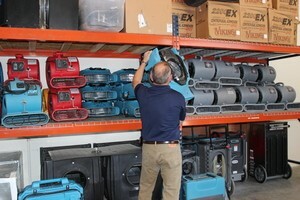 In addition to being at the scene of a water damage crisis quickly and at any time of day or night, Yoav and the Oregon City team will also always bring the latest drying equipment and advanced suction technology to the project so that they can make sure to give people and their homes the most comprehensive restoration experience possible. If your home is experiencing a water heater failure, roof leak, or any other means of liquid intrusion, then contact Yoav and the water damage Oregon City team with 911 Restoration Portland today for help! 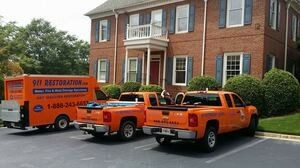 When it comes to saving homes from the effects of a water damage situation, Yoav and his team are experts at taking on the challenges post event, but they are also the go-to source for advice from people in the area that want to learn how they can prevent such instances from even happening. “We get calls every day from people who just want to know the best way to stay safe during a storm, and so we have created a complete list of tips and tricks that they can do from a maintenance standpoint to keep dry no matter what happens,” Yoav says. Make sure that your gutters are totally cleaned out every year before the rainy season so that you don’t run the risk of experiencing an overflow or even an ice dam if the temperature drops. Never forget that the rubber fittings and gaskets on your water-based appliances are susceptible to wear and tear which can go unnoticed for years until it creates a rupture under pressure. At the discharge point in the downspout, it’s best to make sure that this doesn’t point back towards the foundation as this may create a supersaturation situation where the structure can be put at risk. Have a professional restoration expert or plumbing specialist come and snake scope throughout your entire system every five years or so to find any small issues before they become larger and more costly ones later on. “We have a ton of material on how to prevent water damage from occurring and if anyone has a question about anything that we haven’t touched on, they should feel free to give us a call and find out more anytime,” Yoav says. If your home is under water and you want the best in the business to handle the water damage that it will cause, then contact Yoav and the Oregon City experts with 911 Restoration Portland today! Yoav and the water damage team in Oregon City are total professionals and this is why they make sure to always put the customer first on every project that they work in people’s homes. When Yoav and his water damage Oregon City crew got to the scene of the challenge they not only extracted all of the water from the basement, but they also fixed the washing machine connector too because they always go the extra mile for their clients. If your home is flooded from a faulty washing machine, or if you simply want to know more about preventative maintenance, then contact Yoav and the water damage Oregon City team with 911 Restoration Portland for help today!